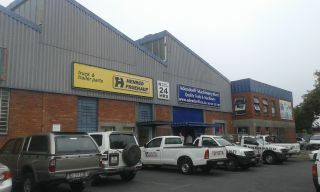 Warehouse to Rent in Montague Gardens and surrounds. We have the widest assortment of properties to rent in Montague Gardens. Browse Industrial Property to rent in Montague Gardens. 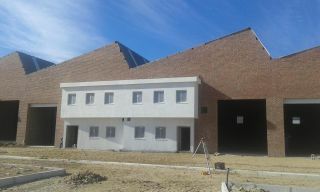 Ash Brook Properties brings you ther latest warehouse rentals in Montague Gardens. Call us today, and let us guide you through the process of securing your new industrial property in Montague Gardens. We have Warehouse Space to Rent from small light industrial spaces to large distribution centers. Montague Gardens is Cape Town's most modern, sought after and well planned industrial area. It is situated within 10 minutes of Cape Town’s port and airport between Cape Town and Bellville and easily accessible from most areas of the Peninsula through the road and rail network. Montague Gardens is also in close proximity to the N1 and N7 National roads and the M5. Montague Gardens is the entryway to the rapid urban and economic growth of the West Coast region. This essential position has lead to the major retail chains such as Woolworths, Spar and Clicks locating their central distribution centres right in this area for convenient distribution to their many outlets throughout the region. Montague Gardens is a relatively modern industrial suburb and the majority of its buildings are suited to the modern industrial requirements. The institution of cash and carry operations such as Makro and the Trade Centre in the area has lead to the growth of warehouse retail trade in the area and Montague Drive, Montague Garden's main activity backbone. Montague Gardens has also become the core hotspot for the Do It Yourself (DIY) enthusiasts, with outlets such as Penny Pinchers and Ital Tile concentrating in the area. Montague Gardens is a rather unique industrial area in that it is surrounded and serviced by numerous residential and commercial areas which are in close proximity to the industrial activity. In terms of commercial areas, Montague Gardens is serviced by both Century City and the Milnerton CBD. These areas provide Montague Gardens with fantastic banking, shopping, postal and entertainment facilities. Africa's largest shopping mall, known as Canal Walk, is situated just a few kilometres of the Montague Gardens’ centre. 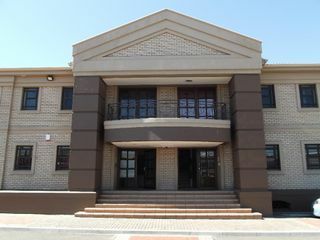 In addition to retail and service facilities, the commercial areas surrounding Montague Gardens provide a range of office accommodation for users. To add to its desirability, Montague Gardens is also surrounded by a number of residential areas. This is completely unlike any other industrial area in the Peninsula. These residential areas range from an upmarket golf estate to lower income areas. Montague Gardens is unlike any other industrial area. It is upmarket and well sort after making it a dream for all business investors looking for the best of both worlds.